By 1994 I had become fairly disillusioned with galleries and who got promoted and who didn’t. With that in mine I created A Bird in the Hand Productions which was my fictitious company that would produce and publish catalogs, t-shirts, exhibition posters, etc and sponsored projects. Delabano, Martin, In the Garden and since, published by A Bird In The Hand Productions, Dallas, Texas. 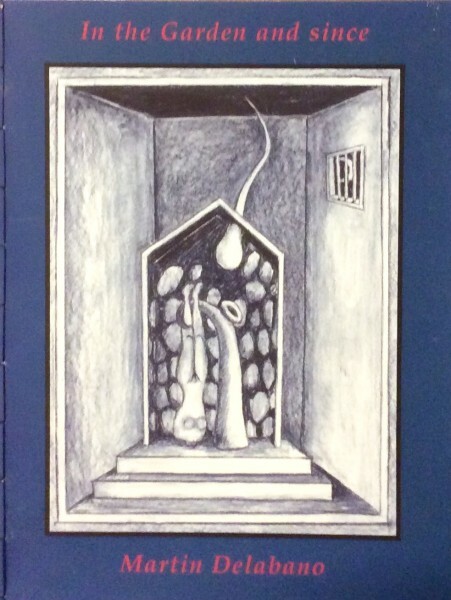 RECENT WORK 1992-1996, published by A Bird In The Hand Productions, Dallas, Texas. 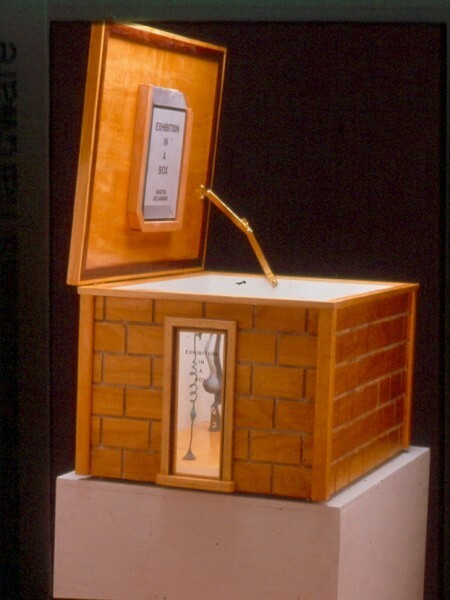 EXHIBITION IN A BOX, Mitchell, Charles Dee, published by A Bird In The Hand Productions, Dallas, Texas. Prayer Wall, published by A Bird In The Hand Productions, Dallas, Texas. 15 Years, published by A Bird In The Hand Productions, Dallas, Texas. Exhibition in a Box, Edition of 3. Exhibition in a box contained a Catalog and was packed in a look alike crate. The crate also arrived with a press kit and T-shirt. 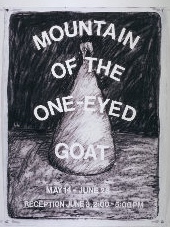 Mountain of the One Eyed Goat, exhibition poster, Brookhaven College, published by a Bird in the Hand Productions.